I am a Registered Nutritional Therapist running a full-time clinic in Cheltenham, Gloucestershire. I graduated from London's College of Naturopathic Medicine in 2010 and in the eight years since then I have helped over a thousand people just like you improve their health and well-being. I been been one of the clinic team at London, Harley Street's The Nutrition Coach since 2011. I am a member of the Institute of Functional Medicine (IFM) and I have completed their Applying Functional Medicine in Clinical Practice (AFMCP) course as well as their Gastrointestinal Module. I am also a qualified Systematic Kinesiologist. I take an evidence based, Functional Medicine approach to helping my Clients improve their health. This comprehensive approach aims to find the core root causes of any health issues rather than just treating or suppressing symptoms. This is a true 360 degree approach to healing looking at imbalances in the emotional, biochemical, genetic and the structural levels. Just as importantly is the principle that no one dietary or lifestyle programme fits all so I will work with you to create a personalised plan. Nutrition is just a part of the recommendations offered. Yes I will provide you with a dietary programme as I believe nutrition is one of the cornerstones of health, but in addition to this we will look at improving lifestyle factors such as your social connections, emotional health, sleep, exercise, sources of joy and mindfulness. Functional or genetic testing may also be recommended and analysed looking for any biochemical imbalances in the body. I will consider the use of nutritional supplements, herbs, Bach Flower remedies, and essential oils, a Kinesiology session (which is amazing for helping release any emotional issues that may be impeding your recovery) all to speed you on your way to optimum health. I have BSc degree in Psychology so I understand that food can be am emotional issue and will work with you to create a dietary and lifestyle plan which works with your personality and daily commitments so that you'll find it easy to maintain long-term. I provide email support post consultation to ensure you are not left to go it alone and to keep you on track with your health goals. What kind of people do I work with? I work with people who have specific health concerns or chronic health problems, people concerned about weight management and those who simply wish to optimise their health and vitality and prevent health problems in the future. My Clients range from aged 0 to 90! For a free 15 minute no-obligation health assessment and to see how I can help you please call me on 07768 056 048 or email me and I will call you back. 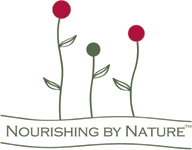 I have a BSc Hons degree in psychology and studied Naturopathic Nutrition for 3 years at the College of Naturopathic Medicine in London, graduating in 2010. I am a fully insured member of the British Association for Applied Nutrition and Nutritional Therapy (BANT) and registered for both nutritional therapy and naturopathy with the Complementary and Natural Healthcare Register (CNHC).I am on the ICO register and comply with the requirements of the Data Protection Act 1998. I have worked at Harley Street's "The Nutrition Coach" since June 2011. In 2013 I graduated in The Institute of Functional Medicine’s (IFM) Advanced Practice Gastrointestinal Module which covered all the latest research on digestive problems including irritable bowel syndrome (IBS), and inflammatory bowel disease (IBD) and small intestinal bacterial overgrowth (SIB0). As part of my ongoing continuing practice development I have attended numerous training courses over the years including those with specific focus on fertility, female hormonal health and digestive health. I am a qualified Nutri Advanced Metabolic Detoxification and Advanced weight loss practitioner. Whether you have a particular health condition or symptoms you would like to address, would like to manage your weight, are confused about what is a balanced diet or are simply looking to increase sense of vitality, I would love to talk to you about how we begin your nourishing journey to optimal feelings of health and peak condition. My work with corporate clients includes menu development and nutritional analysis. Please contact me for my prices and current offers. What can you expect when you come to see me? Firstly I do not ask clients to commit to more than one appointment at a time and to pay in advance for appointments unless they decide to buy a value programme at the end of your first consultation. The reason for this is because to work together it is important you feel comfortable. I don't believe it is fair to ask you to commit to a number of appointments until we have sat down together and you can experience my approach and my personality first hand. Before your initial appointment I will send you a comprehensive health and lifestyle questionnaire and a 3 day food diary which covers all of your health history (from birth), your family health history and assesses all your bodily systems and of course your dietary intake. I ask for your completed forms to be returned to me 3 working days prior to your appointment. I then spend time analysing your completed forms. I do this so that I have done lots of the detective work and thinking about potential root causes of your issues before we even meet and we do not waste your first appointment simply fact finding. We can then spend more of our time together working on a preparing and negotiating a plan to help you and with me giving you tailored advice straight away. I want you to get started on improving your health immediately so within 24 hours of your first appointment you will receive a fully typed, personalised report outlining our agreed clinical objectives and dietary, lifestyle recommendations as well as recommendations for any nutritional supplements and herbs and functional testing. You will also receive helpful handouts and recipes and everything you need to get started. Follow up appointments (approximately 4 weeks apart) are used to discuss progress, review test results and make amends to your programme to ensure you continue to improve. Where and when do I practice? My primary clinic is based in Leckhampton, Cheltenham (GL53) where free parking is available. If you prefer consultations can be held in the comfort of your own home within 30 miles of Cheltenham Town Centre. This can be a great environment in which to meet as I can include a kitchen audit where I will go through your cupboards and give you advice on which foods to keep, which to stop purchasing and what to stock up on to improve the sense of health of you and your family. I hold consultations during weekdays and some evenings. Online, email or telephone consultations and support are also available and I offer ongoing support to clients via email and phone. Initial consultations last approximately 75 minutes and follow-up consultations approximately 45-60 minutes. "Before I saw Laila I was a bit nervous she was just going to tell me to stop eating everything I loved and make me eat lentils every day! However, after having some tests, making small changes to my diet and taking supplements my symptoms were better than they had been in 15 years and I felt fantastic." M.B., London. "Laila gave me loads of practical and useful advice, including meal plans, not just what to eat but how to eat and some great, simple ways to relax. The kitchen audit was great as I was able to see how many of foods I had in my cupboards and fridge were not helping me and learnt what to replace them with. I was impressed by Laila's medical and supplement knowledge." I always try to fit in around the busy lives of my Clients so I am happy to hold consultations during the day and have limited spaces on evenings and weekends.